After over a decade of cooking, eating and hosting together, husband-and-wife Oliver Honderd and Paula Seville started the business they've long dreamed about. 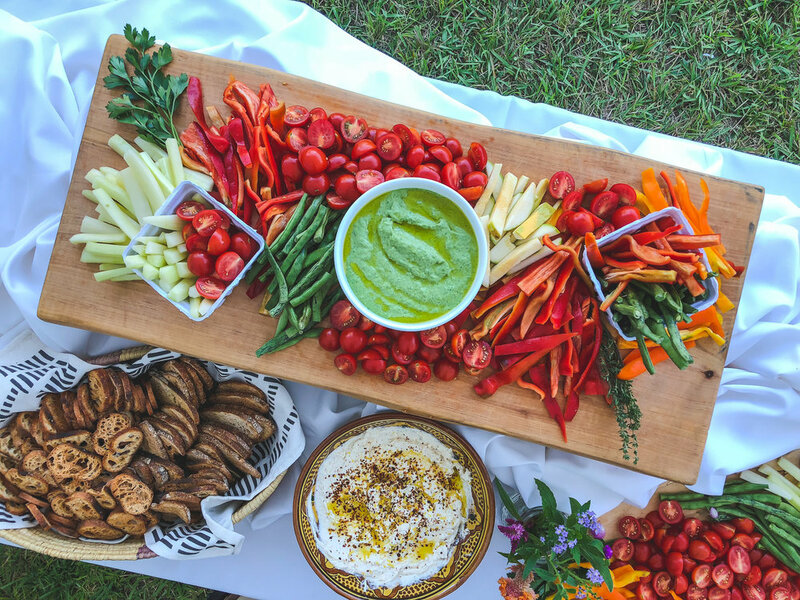 MOVEABLE FEAST ATL is a farm-to-table catering company that prepares great food for parties big and small and sources from ethically-driven Georgia farmers. Oliver caught the cooking bug while traveling in France and working on farms. He built kitchen skills cooking in restaurants over five years—everything from barbecue to fine-dining, farm-to-table to sashimi—in Detroit, Boston and Atlanta, most recently at Bocca Lupo and Gunshow. Paula brings a discerning palate and background in operations and customer service to execute flawless events for every occasion. Together, they prepare inventive cuisine that delivers sublime little moments of happiness, camaraderie and restoration for all types of people. 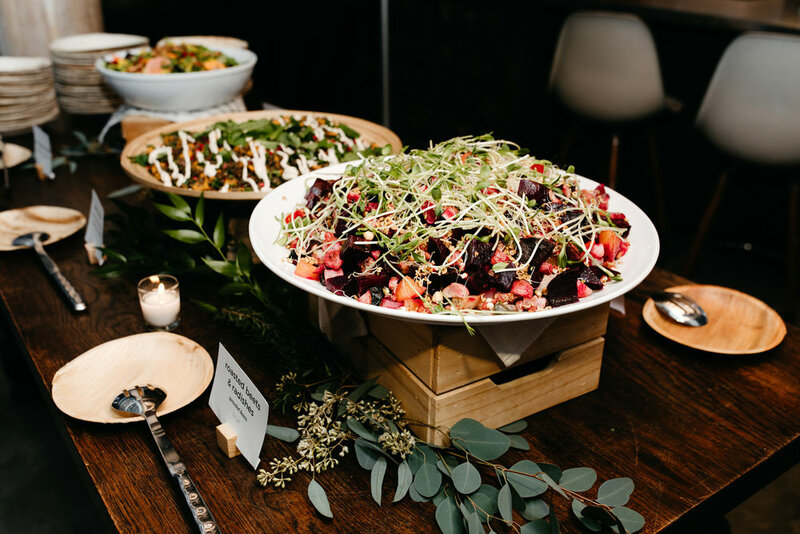 Moveable Feast ATL offers full service and drop-off catering for events of all sizes. From weddings to corporate functions, private parties to celebratory showers, no matter the occasion we’ve got you covered. This isn’t your ‘steak or salmon’ caterer - we specialize in seasonal ‘New Southern’ cuisine that reflects the bounty from our local farmers. Check out our sample menus below, photos from past events and CONTACT US to start planning your next event! 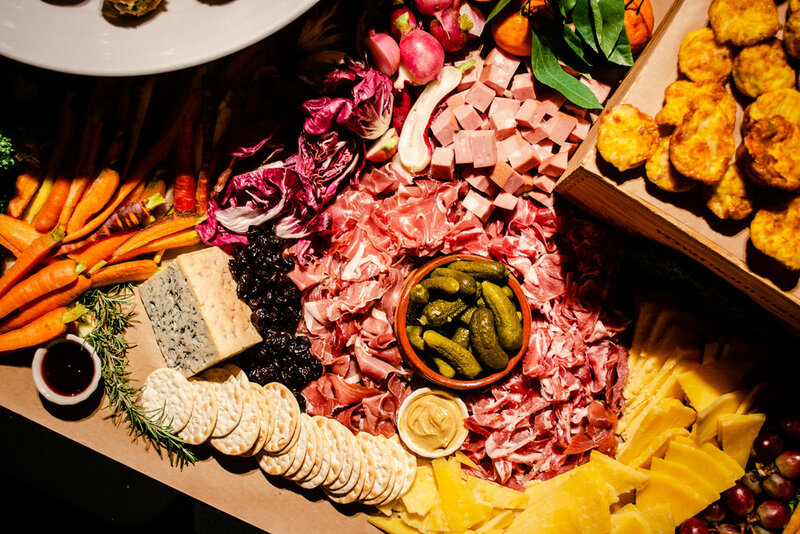 Interested in a customized menu for your event? Loved being able to relax and enjoy good company and not have to worry about cooking or cleaning. Food was perfect, great menu, and great presentation. Definitely will be using Moveable Feast again. We hosted welcome drinks for our family and friends the night before my sister's wedding - Paula and Ollie did an amazing job! 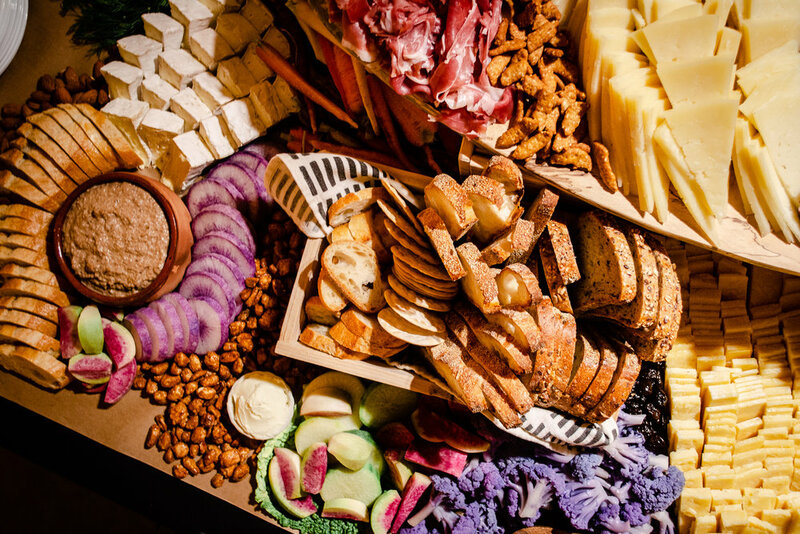 We wanted cheese boards + chicken wings (bride + dad's request) and they ran with it in style - not only was the service flawless, but our family and friends can't stop talking about the delicious food. "Inventive, local, and delicious! Can't wait until our next meal with Moveable Feast!" Paula and Ollie catered a brunch for a bridal shower. The menu they planned was just perfect for the occasion and everything looked beautiful and tasted wonderful. Fresh and seasonal fruits, vegetables, and breads. I definitely plan to use them again! Paula and Ollie did a fabulous job catering our party! The food was amazing and they made it so I could relax and just enjoy. They thought of everything, took care of all the guests and anticipated everyone’s needs. I can’t say enough about the quality of the food. I will definitely use them again! We build our menus around what’s in season and available from our local farmers. 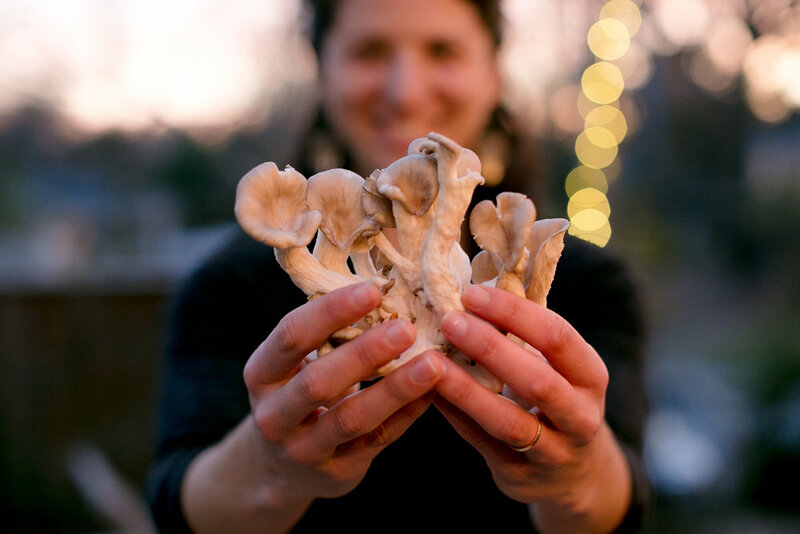 As cooks, this practice gives us joy and purpose, while ensuring our clients always eat vibrant, peak-season food that expresses the spirit of our region. We are proud that 70% of our food budget goes straight to our skilled and passionate friends in the good food ecosystem. We compost all of our kitchen waste with CompostNOW and provide zero waste events. We live in a flawed world that needs improving. We think food serves a purpose in this process, so we happily work with organizations, individuals and movements that fight to improve people’s lives. Does your organization have a need for delicious food, chef skills, or an auction item?